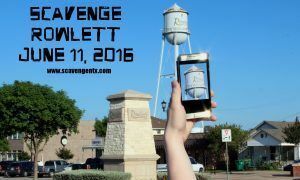 We had an awesome first hunt in Rowlett on Saturday, June 11. Everyone seemed to have a great time, we had some very happy winners that walked away with a total of $800 in cash prizes, and got some amazing photos. Here’s a link to the gallery where you can see the fun for yourself!